Traffic in Mexico City is quite a challenge. Make the wrong move and you can be stranded in the middle of six streams of stationary vehicles, gazing enviously as an ancient man with a walking stick speeds past you on the distant pavement. Choose your time and direction wisely, and grand arterial routes like Paseo de la Reforma can sweep you across the checkerboard of city blocks in a few minutes. It only takes one turn, however, to reach narrow avenues dotted with trees and quirky little plazas. 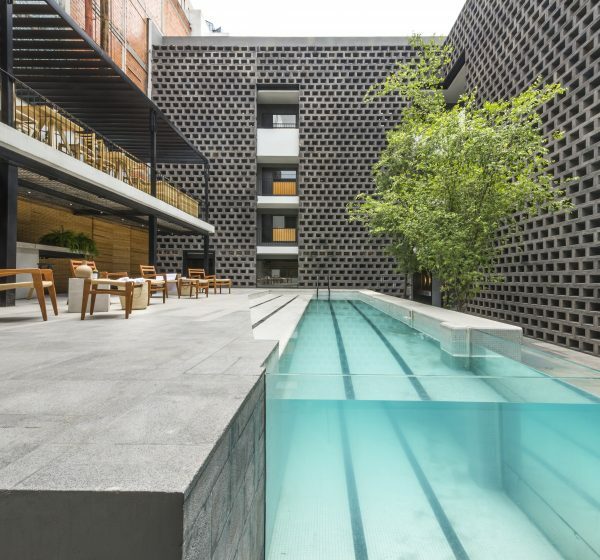 Hotel Carlota sits within the area of Mexico City known as Cuauhtémoc, just off the Paseo de la Reforma, east of the rambling Chapultepec Park, in a network of roads named for the famous rivers of the world. Design is, without a doubt, the main feature of this hotel, but our room unfortunately proved to have suffered from the prioritisation of style over substance. 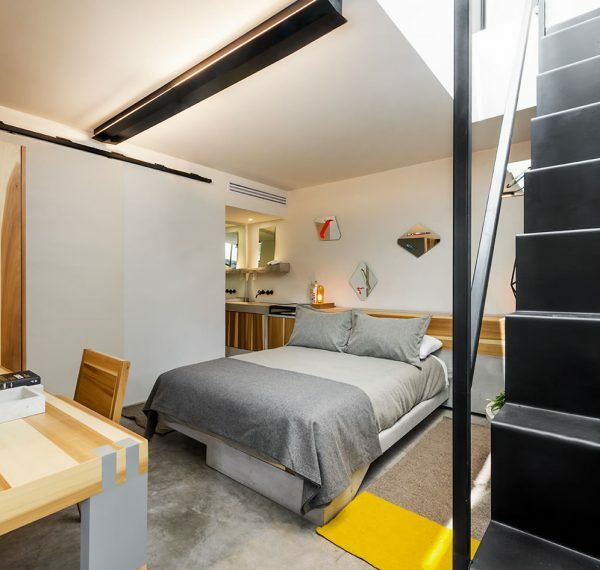 If you’re into the Modernist school, Hotel Carlota has everything you might want, with concrete bed, wooden furniture and the occasional pipe or splash of lurid soft furnishing. The first room we were shown was quite small and we immediately had some design-related issues with a display cabinet full of local sweets (the heavy glass and iron lid was not self-supporting and hit me on the head as I was looking into it) and the shower (the iron wheel which turned the water on came off in Charlotte’s hand). Staff members were quick to respond to the shower complaint, but the wheel was merely replaced and the problem was very likely to recur. Fortunately, when we demanded a new room, things began to look up. Further along the concrete latticed interior balcony we were shown to a much larger room with a tiny, steep, iron staircase which led up to a roof terrace completely surrounded by high concrete walls. The only part of the Mexico City skyline visible was the looming MAPFRE tower, glowing redly against the sky. 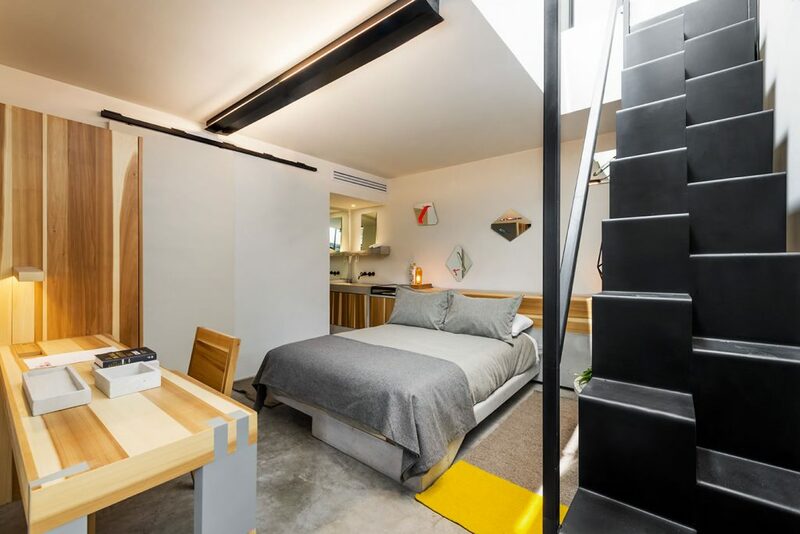 In these much more spacious and functional surroundings, we made ourselves very comfortable and were able to enjoy the quirks of the concrete sink with industrial iron taps, the clinically stark but functional bathroom and the snug bed. The highlight was definitely the room’s terrace, where we were able to enjoy a few glasses of wine in the balmy evening. 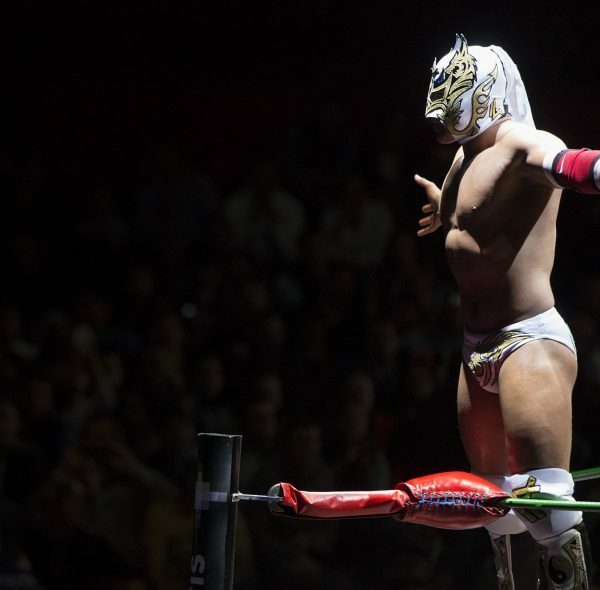 If you’re in this area of town, it’s a good base from which to walk the 25 minutes that will take you to the Arena Mexico (near the Cuauhtémoc Metro Station) where the famous Lucha Libre takes place. 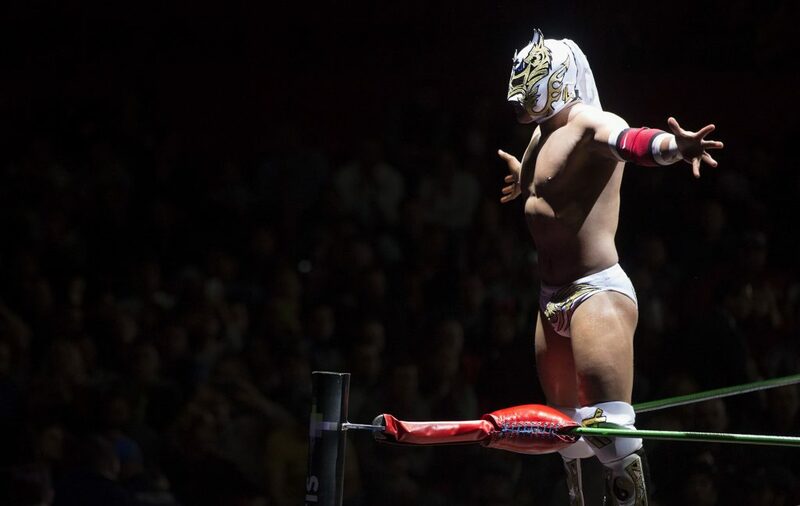 For those who don’t know, the Lucha Libre (‘free fight’) is a Mexican institution, like professional wrestling in the USA but with more athleticism, more laughs and more delightful chaos! Tickets are cheap and the location is a bit of a dive, but the spectacle more than makes up for this. Even the most timid tourists will soon find themselves picking a side and screaming support – or bellowing at a well-deserved defeat. 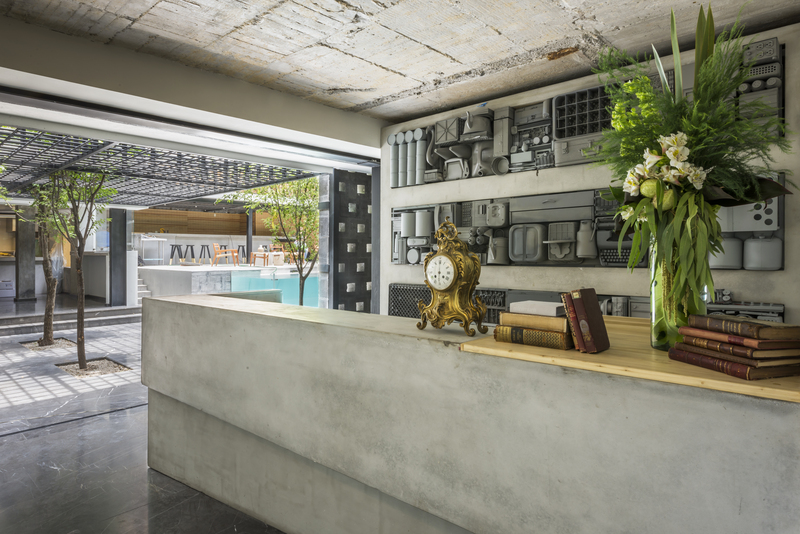 Hotel Carlota is an excellent base from which to explore the very heart of Mexico City and the design features are a strong statement about the way Mexico fuses robust industrial structures with elegant artistic statements. 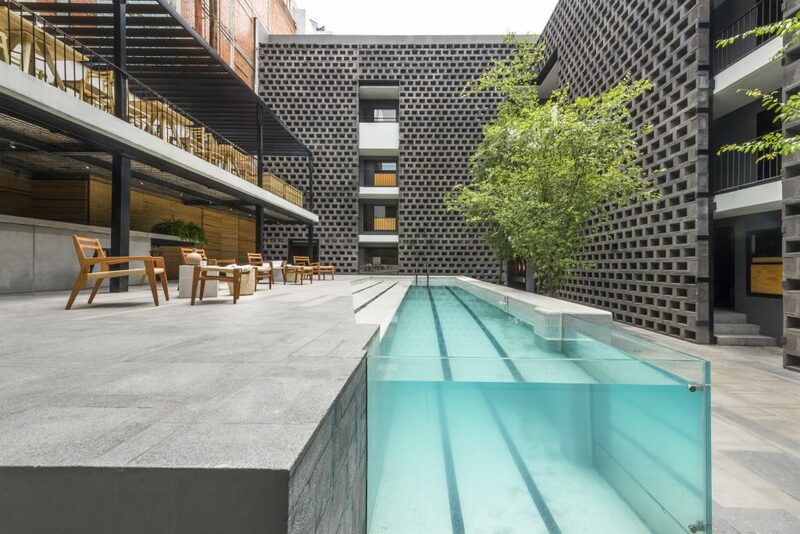 It might not be a place for those looking for all the amenities of a luxury hotel, but Hotel Carlota will certainly appeal to those whose interest is architectural innovation, who want to be right in the centre of this vibrant and exciting destination and who want to see a different side of Mexico City’s diverse character.